Happy New Year Girls! It's my first post of 2013! I hope you all had an amazing time bringing in the new year. I originally planned to do a post showing you all what I got up to but I had an absolute nightmare and forgot my camera and my phone camera isn't great! I've been meaning to do a post on my current skincare for quite a while now but just like most of you lovely bloggers, I find that it constantly changes. This is what I'm using at the moment, but as the months go on and it begins to get warmer (fingers crossed!) my products tend to change so I plan to do one at a later date too. I've also split this post into two parts; one showing you what I use in the morning and the other showing you what I use before I go to bed. I'm a real skincare junkie so I've used countless products over the years and would like to say this is just what works for me and my skin type. 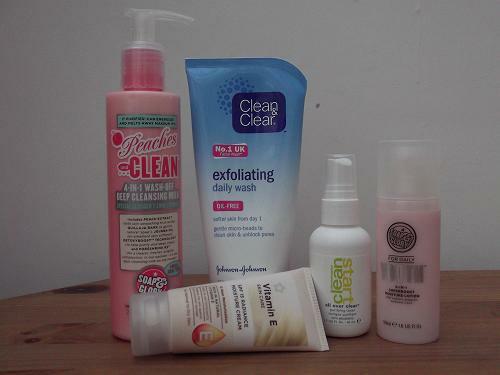 I also use a face exfoliator and a face mask once a week which I'll do i another separate post (maybe a part three?) if you're interested. 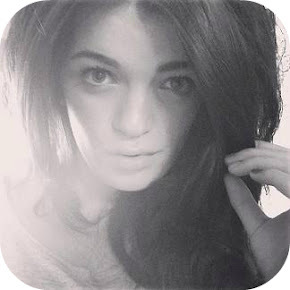 I'd also like to say I apologise for the lighting in these photos I know it isn't great! Since I studied Beauty Therapy at college two years ago, it's been drummed into me the importance of a 'Cleanse, Tone, Moisturise' routine and I'm pretty strict when it comes to doing just that. Even when I'm tired beyond belief or I've had a bit too much to drink (let's face it, I'm not the only one am I?) I always make sure I take my make-up off properly. It can be a bit of a chore but my skin looks and feels so much better the morning after. 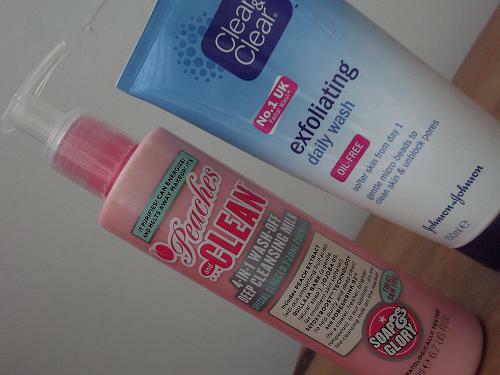 Soap & Glory Peaches & Clean Deep Cleansing Milk - It would be wrong not to include a Soap & Glory product in my skincare routine! I absolutely love this stuff, it leaves my skin incredibly soft and hydrated which is perfect if like me you have combination skin. I think of it as a bit of a luxury wake-up call and the smell of it is just out of this world. I also use my cleansing sponge to remove it so it's an exfoliating treatment too. 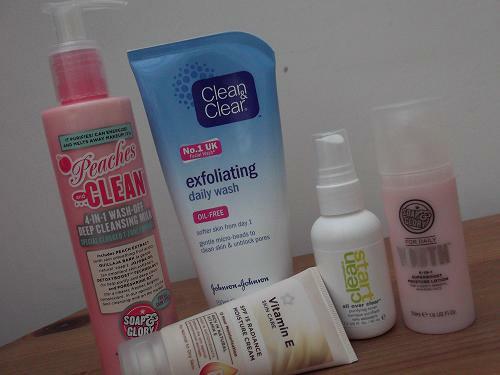 Clean & Clear Exfoliating Daily Wash - I'm sceptical about whether these sorts of brands really improve the appearance of your skin. I think if you look after it and eat healthily then your skin will show for it. I do love this stuff though, it contains micro-beads small enough for daily use and it really works into the pores which leaves my skin squeaky clean. 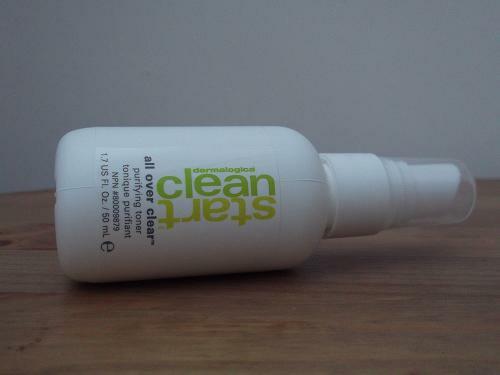 Dermalogica Clean Start Purifying Toner - I never skip using toner and people always do but it removes excess oil and dirt that your cleanser hasn't. This really refreshes my skin and leaves my T-Zone oil free. I also use tissue to blot my toner after I've used it because toners contain alcohol which dehydrates the skin. 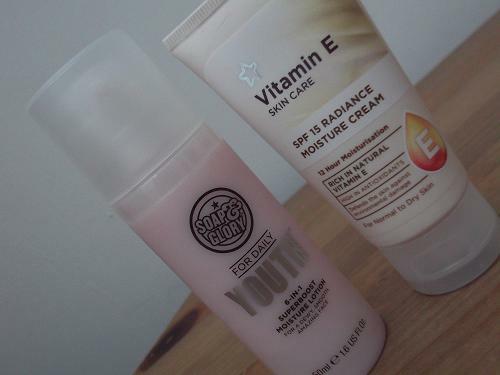 Superdrug Vitamin E Radiance Moisture Cream - I recently reviewed this product in full (read it here) and I'm still loving using it. It contains light reflecting pigments which make your skin really glow and the hydration this gives is just out of this world and it really does last all day. Soap & Glory Daily Youth 6 in 1 Superboost Moisture Lotion - Oh another Soap and Glory product. I have a post planned to do a full review of this soon but until then this is what you should know. It's by far my new 'holy grail' moisturiser. It works absolute wonders and even after using moisturisers from brands like Liz Earle and Clinique, this is by far one of the most impressive. Be sure to check back for my full review soon! So, that's my current skincare routine. Like I mentioned at the beginning of this post I'm constantly on the lookout for new products to really wow me but I'm rather happy with what I'm using at the moment. I plan to post part two and three sometime in the next week or so, so if you're interested in what I use before I go to bed and other treatments then make sure you take a look back. What do you use in your current skincare routine? Do you use any of the products I do? At the moment, I use Purity stuff... I have Peaches and Clean but haven't used it yet. I used to use Clean & Clear blackhead scrub. Always love seeing others' routines though!